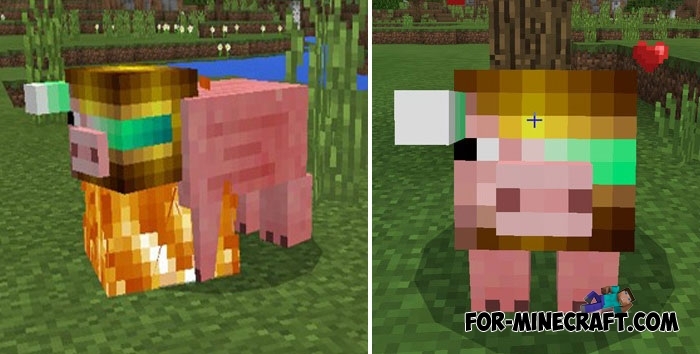 As is known, Pig is usually used as a source of meat, only a few players keep pigs as pets or transport. The addon took into account this small number of features and changed every pig turning them into cyborgs. Any piggy cyborg can protect itself and its master, it is no longer such an inoffensive creature. Almost the whole of its head is made of iron alloy, and instead of the eye it has a special camera that catches any movement. Just see how your pig is fighting if you meet an enemy on your way. Gold carrots serve as a tool for taming cyborgs, it also restores its health. Do you need security? Then tame a few of these half-robots and go to any hell existing in Minecraft PE. 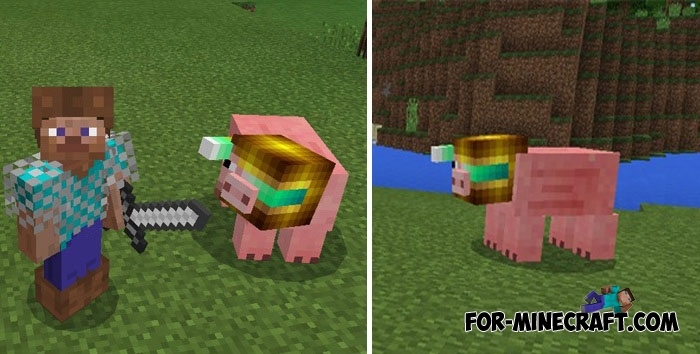 How to install the Piggy Cyborg addon? Inventory Pets mod for Minecraft PE 1.2Now miniature animals will help you, being kept in your pocket. Inventory Pets is more than 30 mobs, each of which has certain features..
Rock' Em Sock' Em Robots for MCPE 1.2The Rock 'Em Sock' Em Robots toy was moved to the Minecraft Pocket Edition world but got some changes..